The love of speed and a passion for performance engine building has seen Grant and his children involved in Drag Racing for many years. Grants involvement began in 1983 having built and owned many different vehicles in different categories, having achieved over 10 New Zealand national records. 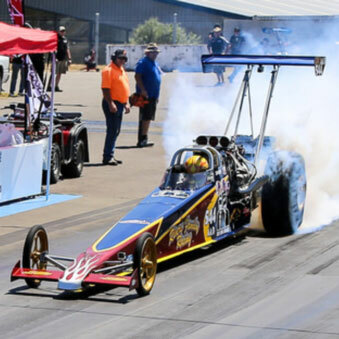 Of recent times, his son Adrian, who drives the Rivers Family AA/D Dragster achieved a National record on 27 December 2016 with a personal best time of 6.58 second run at 215 mph. Out of the Rivers Speed & Spares stables is Dean Scott, employee, in his 540 ci supercharged BBC HZ Ute with a personal best of 8.4 seconds at 165 mph and the New Zealand National Champion in the 2016 season. Give Rivers Speed & Spares a call, we are experienced and aware of the specific needs with Drag Racing. A One Stop Shop for all your needs from engine building, tuning, fabrication and chassis work. 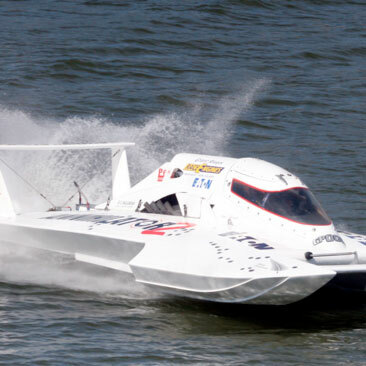 Hydroplanes are the fastest motorboat on water, where the hull shape is such that at speed, the weight of the boat is supported by planning forces. When on the plane, the boat hovers above the water with only the rudder and front sponsons in the water. The Lupton and Alexander families have completed both in New Zealand and Australia with successes in winning the work championship twice and the E C Griffiths twice as well. The Annihilator boats are all propelled by supercharged BBC engines running on alcohol producing between 1800 – 2500 hp, this is dependant on tunes and track conditions. Grant has been actively involved in Hot Rodding and in Hot Rod fabrication since 1980 when he re-built his Ford Poplar. Grant is also a Life Member of Wanganui Road Rodders. Rivers Speed & Spares commenced in 1990, success has continued to grow. The team places a high importance in delivering the best product and completed car possible. We pride ourselves on turning out top quality workmanship on every job, from engine rebuilds, turn key rebuilds, modifications and also able to complete LVVTA certification on modified vehicles. 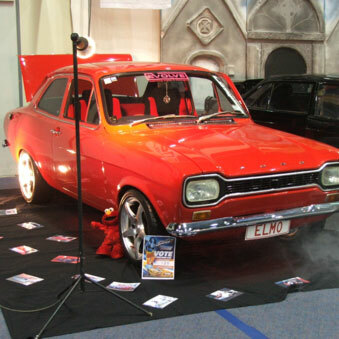 We have built many Hot Rods on-site as are viewed on our website. Grant is an authorised vehicle certifier with the LVVTA. Once a vehicle is modified from its original state or is a scratch built, it requires certification to ensure that it is safe to operate on the road, and comply with the legal safety requirements. All LVVTA certifiers are required to complete bi-annual training sessions and reviews. Grant is certified to undertake a wide range of modifications. To view these, please refer to www.lvta.org.nz – certified list. Rivers Speed & Spares are contract holders for Levels 1 and 2 vehicle modifications. Our goal is to provide vehicle modifications for clients who have been identified by ACC as requiring vehicle modifications to meet their injury related needs. Following an assessment by an EMS assessor, if it is identified that modifications to a vehicle would meet the person’s essential needs related to their disability, the EMS assessor would refer any required work through to a provider. Rivers Speed & Spares have undertaken work for Enable and the Ministry of Health for funding of vehicle modifications. To find out more, contact Enable New Zealand Information on call free 0800 171981.